Melinda Rosaschi and Mary Crane share a special relationship. They are mother and daughter. Mary has been married for 67 years to her husband Russell, and they have three children, Terri, Melinda and Allison and four grandchildren, Kris, Melissa, Melanie and Keith. Melinda and her husband John reside in Schererville, IN and have two daughters, Melissa and Melanie, and five grandchildren, Faith, Aaron, Brooklyn, Daniel and Drew – who are Mary’s great-grandchildren! Both Melinda and Mary have been dedicated to helping others. Mary spent her working years preparing meals for the students at Highland High School, and Melinda is a pre-and post-surgical nurse at Community Hospital in Munster, IN. All throughout their respective cancer journeys, they have remained active and positive. Mary provided on-going child care for family members whenever needed, never letting her situation bring her down emotionally or physically and Melinda worked almost full-time helping her surgical patients when they needed care. Melinda feels her greatest accomplishment since her diagnosis has been to provide positive encouragement and education to those who are newly diagnosed and Mary takes pride in being the family matriarch and a positive role model to others. Melinda Rosaschi is a 3 year breast cancer survivor. Mary Crane is a 15 year breast cancer survivor. Both are proudly nominated by Melinda’s daughter (and Mary’s granddaughter) Melissa Mikolajczyk. Joy Shurman and her husband Bill have been married for 27 years and reside in Lowell, IN. They are the proud parents of Amanda and Alec and grandparents to Gracelyn. Throughout her cancer journey, Joy was dedicated to helping a friend who was experiencing some difficult health issues and she brought courage and strength to those around her. Her determination and enthusiasm were inspirational and her “joy” and support gave encouragement to many. Joy is employed at Lowell Carpet & Coverings, and is affiliated with the Lowell, IN Rotary, International Rotary, Indiana Women in Need and the Make-a-Wish Foundation. 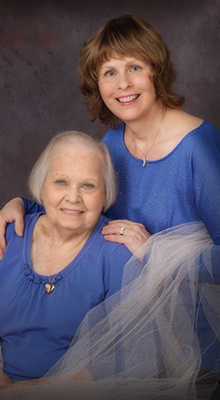 In her own words, Joy would advise others to “do your self-examinations” and she considers her greatest accomplishment since her diagnosis to be becoming a grandmother. Joy looks forward to spending many more precious years with her growing family. 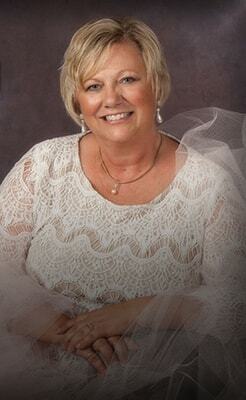 Joy Shurman is a 3 year breast cancer survivor proudly nominated by her friend, Tami Brunke.